Many people are unaware of vision problems because they do not have any obvious signs or symptoms. It is always advisable to go for regular eye exams as an early diagnosis and treatment will help keep your eyes healthy. There are 3 common eye problems that affect many of us. These eye conditions can be corrected with the right prescription eyeglasses. Vision is a luxury nowadays. Around 60% of the world population has poor eyesight. A person with poor eyesight may find it difficult to accomplish everyday activities such as reading, watching television, driving a car or even recognizing people. Making use of modern technology and materials, specially crafted eyewear is now available to rectify poor eyesight. Eye conditions are primarily associated with older adults. It is estimated that around 17% of people over the age of 65 have low vision. The three most common eye conditions that can affect children and adults alike are myopia, hyperopia and presbyopia. Myopia, hyperopia and presbyopia are three of the most common eye conditions. They can affect people of all ages. 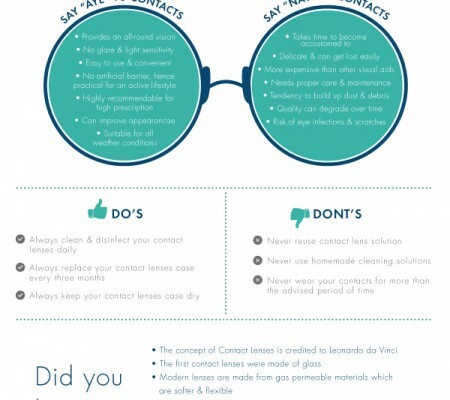 However, these conditions can be corrected with corrective eyeglasses or contact lenses. Myopia – It is the term used to define near-sightedness or short-sightedness. When a person is diagnosed with myopia, they will not have a clear vision of an object at a distance. A concave minus powered lens is used to correct the vision problem here. Hyperopia – This condition is also known as far-sightedness or long-sightedness. A person suffering from this defect will have blurred vision when looking at objects close to them. Like myopia, this condition can also be corrected with prescription eyeglasses and contact lenses. 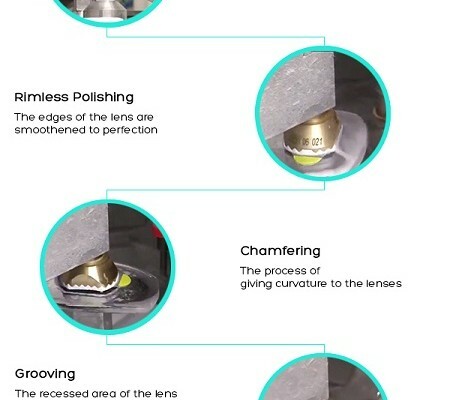 A specially designed convex plus powered lens is used for correcting hyperopia. Presbyopia –Presbyopia is a progressive vision defect condition caused by aging. It is the diminished ability to focus on near objects. While one can purchase over-the-counter eyeglasses, there are several medical procedures too that can correct this condition. So, how does one treat these vision defects? 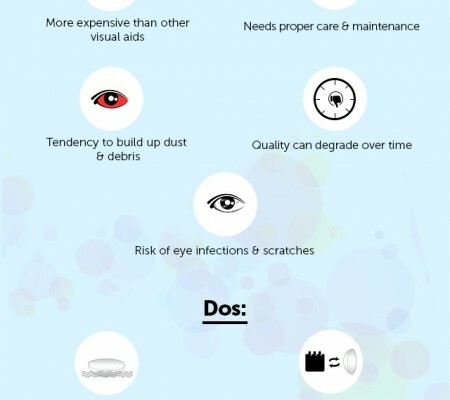 If you’re the one who suffers from these eye conditions, it is advisable to visit an ophthalmologist at the earliest. After a comprehensive eye examination, the ophthalmologist can prescribe eyeglasses that can correct the defects. Although there are other methods to correct vision like contact lenses or surgery, eyeglasses are still the most preferred choice. There are certain leverages that eyeglasses provide. Apart from providing accurate vision correction, they are also less likely to cause any side effects. They are inexpensive and easy to maintain too. A pair of eyeglasses can also provide extra protection from dust particles and debris. Moreover, eyeglasses can be worn by adults and children alike. Spectacles are the preferred choice for vision correction. There are certain types of eyeglasses for people who are diagnosed with myopia or presbyopia or hyperopia. For people who are diagnosed with myopia or hyperopia, a single vision lens is prescribed for all distances. An optometrist can prescribe reading glasses with bifocal or trifocal lens to compensate for presbyopia. However, presbyopia can complicate other eye conditions. But after an eye check up, an optometrist can determine specific type of lenses that will be more convenient and beneficial. Although myopia, hyperopia and presbyopia are the three most common eye conditions, visual impairments can take many forms and exist in varying degrees. Therefore, it is always wise to go for regular eye exams. Take care of your eyes. They are the most precious of your organs.